Why You Want Me Wednesday is your one-stop-shop for all the fabulous reasons why I’ll be your next best friend! So far I’ve proven to be a fabulous lap dog, a great adventuring partner and a really silly sleeper who will make you laugh! That’s right. I rock the pink like nobody’s business. Yes, I know I have a boy’s name – but all the better reason to show my feminine side, right? Besides, it totally impresses all the boy doggies. . . hehe. 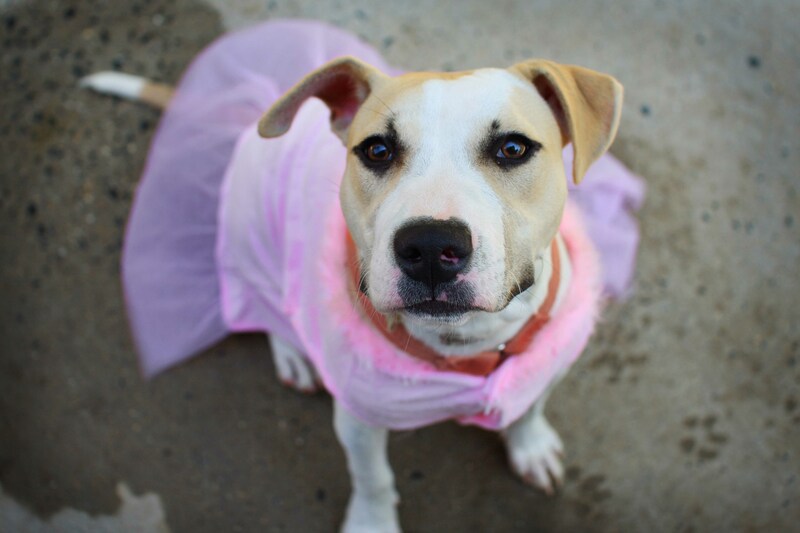 Do you think it will impress my forever family? 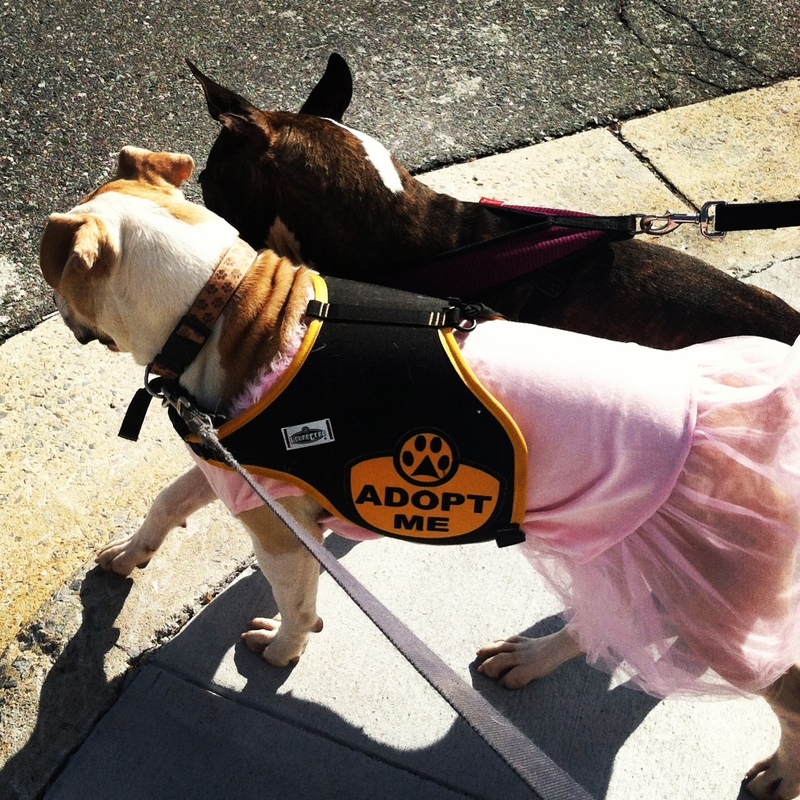 To adopt your very own pittie princess Johnnie Cash, email peacelovefoster@gmail.com. 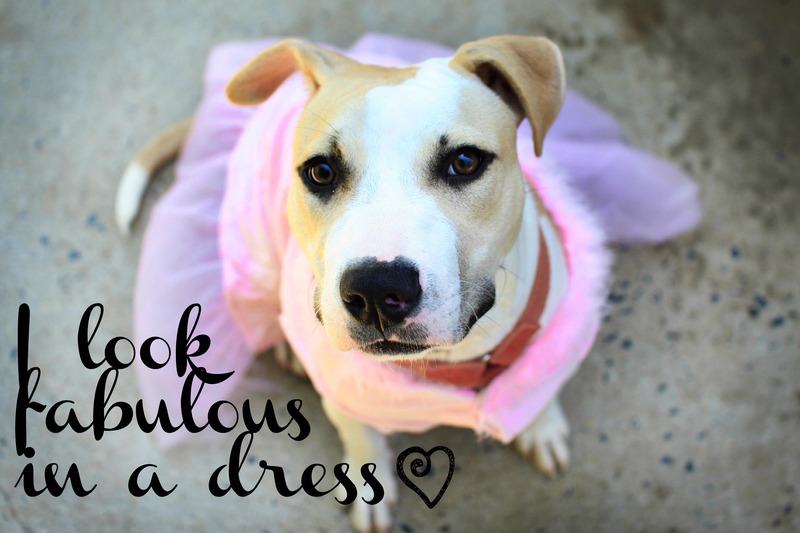 This entry was posted in Dog talk, Johnnie Cash, Photography and tagged adorable, dog costume, dog wearing a dress, doggy fashion, fashion, foster dog, pink dress, pit bull in a dress, why you want me wednesday. Bookmark the permalink. 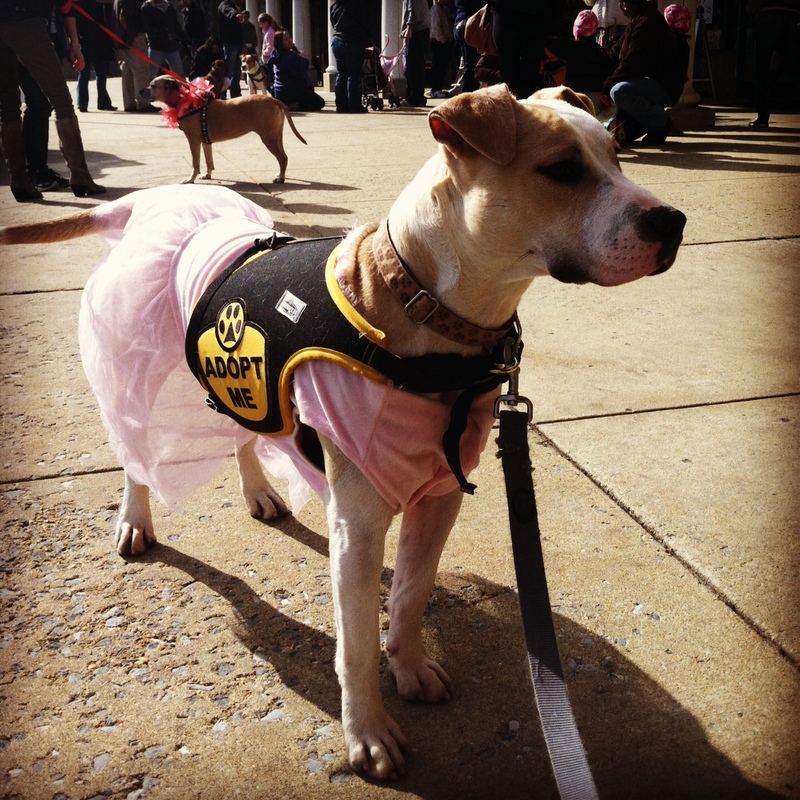 And this is EXACTLY why I want our next pittie to be a girl! 3 boys means I get very little pink in my life. She is adorable!